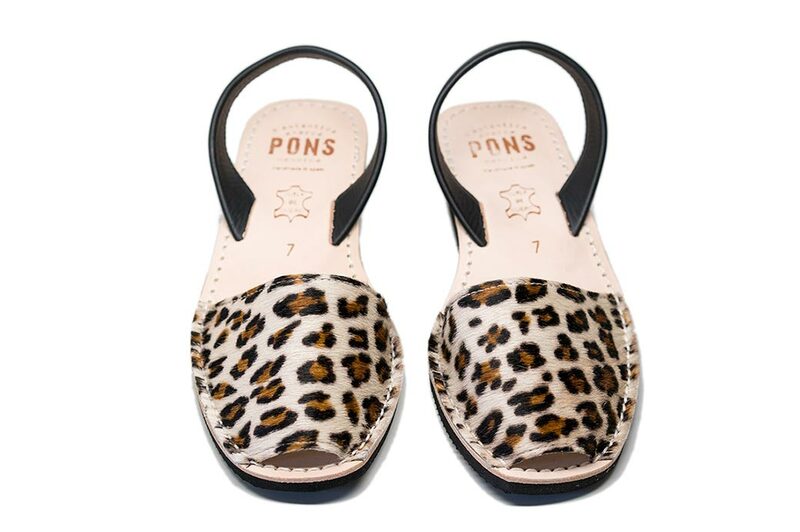 Add a little pounce to your step with our Wedge Pons in Leopard! Handcrafted in Menorca by local artisans, these durable & versatile Avarca sandals are made with the finest all-natural leather with a short and soft fur texture. The Wedge style features a lightweight rubber sole with a heel height of almost 2 inches (5 cm). Instead of reaching for your go-to black pair of sandals, grab these feline beauties instead!